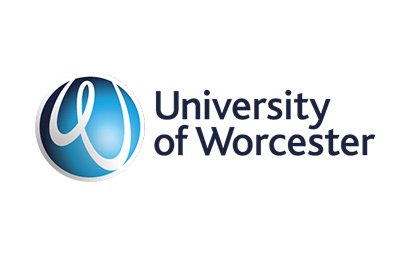 The University of Worcester is the fastest growing University in the UK, with student applications rising seven times faster than the national average. The University also boasts one of the highest overall graduate employment rates for any English university (94% are in work or further study within 6 months of leaving). In addition to delivering excellence in teaching and learning, research is very important to the University, and it continues to enhance its international reputation across a broad range of disciplines. The University supports six academic departments, including the Institute of Science & the Environment. The Institute focuses on three key areas of research, including strategies to produce more food sustainably. Within the Institute, the National Pollen and Aerobiology Research Unit provides the UK’s pollen forecasts for the Met Office, and crop disease forecasts for growers. The Centre for Rural Research specialises in the analysis of rural change and has extensive experience of working with farmers, such as investigating the use of polytunnels for soft fruit growing.The River Science Research Group specialises in environmental monitoring and the rapid habitat assessment of river systems, with a particular emphasis on the nature and extent of impacts caused by land-use practices and groundwater abstraction. In 2012, a collaborative research project between the University of Worcester, University of Reading, Waitrose Plc, Fruition PO and East Malling Research was established to investigate the enhancement of pollination and pest regulation services in apple orchards through the provision of floral resources. Funding was obtained from the University of Worcester, Fruition PO and Waitrose Plc to support a three-year PhD studentship.Megan McKerchar started the PhD in September 2012 under the supervision of Dr Duncan Westbury (University of Worcester), Prof Nick Evans (University of Worcester), Prof. Simon Potts (University of Reading), and Dr Michelle Fountain (East Malling Research). Mr Robin Dean (Red Bee Hive Company) has also been appointed as a project advisor. Duncan has a strong background in applying ecological principles to habitat restoration, creation and management, with extensive research experience in the management of agroecosystems to support biodiversity within the farmed landscape. Whilst he has published extensively on the benefits of habitat manipulation for invertebrates and farmland birds, current research focuses on how biodiversity can be utilised to support the delivery of ecosystem services within the farmed landscape. Duncan currently co-supervises PhD student Megan McKerchar who is investigating the benefits of supplementing floral resources in commercial apple orchards to promote pollination and pest regulation services. Commercial apple orchards are typically devoid of floral resources outside of the blossom period so growers are heavily reliant on the surrounding landscape to nurture populations of our wild native pollinators. By introducing wildflower strips into commercial orchards we have the potential to reduce the risk to fruit production from a lack of pollinators. The project is funded by Waitrose Plc, Fruition PO, and the University of Worcester. In collaboration with the University of Reading, Duncan has also investigated the inclusion of wildflower forages in the diet of growing dairy heifers to study the impacts on animal productivity and methane emissions. Under the Environmental Stewardship agri-environment scheme options exist for farmers to enhance the botanical interest of species-poor grassland, but whilst this is likely to benefit biodiversity, we still do not fully understand the implications of incorporating such forages in the diets of modern livestock breeds. In the study, compared to conventional ryegrass forage, whilst wildflower forages were shown to reduce methane emissions, they reduced the extent of digestion and animal growth (unpublished data). This study was funded by Defra, the Scottish Government, DARD, and the Welsh Government as part of the UK’s Agricultural GHG Research Platform project.